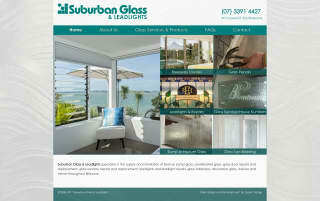 The website for Suburban Glass & Leadlights, a Brisbane-based firm specialising in glass products and repairs had been in its previous form for several years and needed an update in design, content and content management. The site was already using ExpressionEngine to manage its content but I upgraded the CMS and customised it to make the updating of content easier, in particular, managing images. 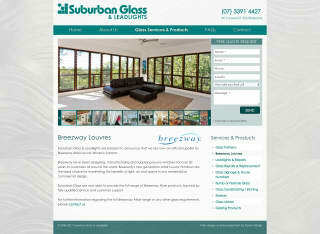 The design was updated with more focus being given to images of the business's wide variety of glass products. And the site was developed to be mobile-friendly. Thank you Tyssen Design for creating our new website! John was very obliging and responded quickly to any questions we had regarding the design of our website. We have had positive feedback from customers regarding the site’s functionality and contemporary design. We would definitely recommend Tyssen Design!